Hometown: East Brunswick, New Jersey, U.S.
Died: February 3, 2004 in Operation Iraqi Freedom. 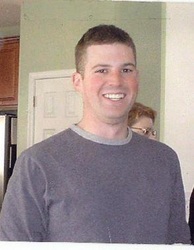 Unit: Army, Battery B, 3rd Battalion, 62nd Air Defense Artillery Regiment, Fort Drum, N.Y.
First Lieutenant Seth J. Dvorin, U.S. Army, died near Iskandariyah, Iraq, when a remote-control device exploded. Born in Freehold, he was raised in East Brunswick and South Brunswick. He was a 1998 graduate of South Brunswick High School, where he played football and baseball. Seth received his B.S. degree in administrative justice in 2002 from Rutgers University, New Brunswick. After graduation from Rutgers, he joined the Army, and received basic training at Fort Jackson, S.C. 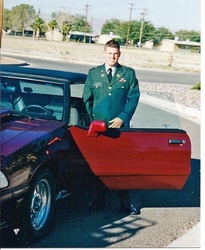 He graduated from Officer Candidate School at Ft. Benning, Ga., and received his commission on Jan. 17, 2003. He also graduated from airborne and air-defense artillery schools and was stationed at Fort Drum, N.Y., as part of the 10th Mountain Division, Battery B, 3rd Battalion, 62nd Air Defense Artillery Regiment. 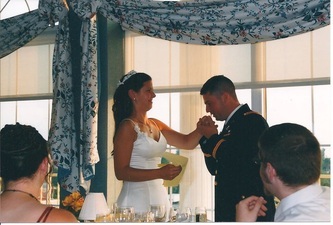 Surviving are his wife, Kelly Harris Dvorin, whom he married on Aug. 26, 2003, five days before leaving for Iraq; his mother, Sue Niederer; his father, Richard Dvorin; his sister, Rebekah Dvorin, and many other relatives and friends. Governor James E.Mc Greevey signed Executive Order # 95 on Feb. 11,2004, ordering that the flags of the United State and State of N.J. fly at half-staff at all State departments, offices and agencies on Friday Feb. 13,2004 in recognition and mourning of 2/LT. Seth J. Dvorin. 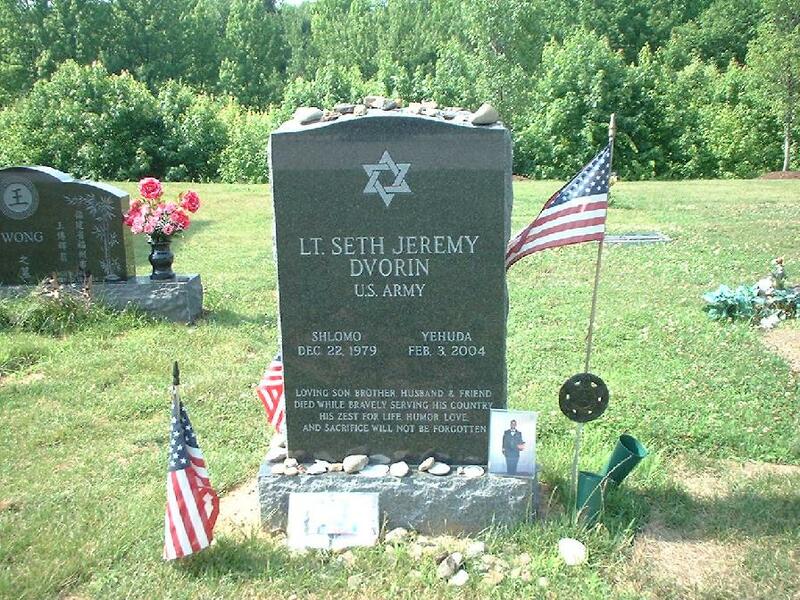 EAST BRUNSWICK, N.J. — When Army Lt. Seth Dvorin flew home from Iraq for two weeks of R&R last month, his family didn’t think it would be the last time they’d see the 24-year-old officer alive. Seth Dvorin was killed Feb. 3 — 17 days after returning to Iraq — near Iskandariyah, 35 miles south of Baghdad, his family told The Star-Ledger of Newark. 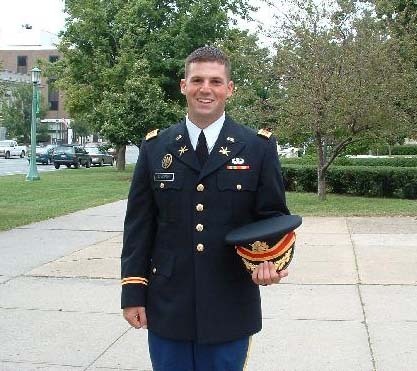 He was the only soldier killed in the blast and the 17th soldier with New Jersey ties to die in Iraq. The family learned of the soldier’s death, when an Army colonel and a chaplain from Fort Monmouth arrived at their East Brunswick home with the news. The officers told sister Rebekah Dvorin that Seth’s unit had been ordered to clear the area of the homemade mines and bombs that have killed dozens of troops. Dvorin, a South Brunswick High School graduate, was part of the 10th Mountain Division based at Fort Drum, N.Y.
Richard Dvorin, 61, an Air Force veteran and retired New Brunswick police officer, called his son a loyal, responsible commander who sought to make life as easy as possible on the soldiers he oversaw. Offered two weeks’ leave in December, the father said, Dvorin refused to go because so many of his platoon members had not yet had the chance. “He was a good human being,” the father said, tears rolling down his face.